Alternative investment is complex and global economic strategies are changing post-recession. We provide platform to identify, evaluate and deliver future perceptions on alternatives investment. 99 Alternatives offers a practical approach, partnership, knowledge and transparent dialogue between interested parties. We provide a marketing platform to grow your social media presence to allow investors to identify fresh new ideas in alternative investment and offers outside the traditional mechanism. *Don't Worry! We hate SPAM too! 99 Alternatives understands the importance of advertising and with our extensive market research, it is clear that there is a niche gap in the investment market, where investors are looking for authentic and credible places to invest. Our new and exciting web portal has 99 plus authentic products to fill the gap. We provide perceptible opportunities in metals, energy, currency, bonds, antiques, technology, entertainment, bank investments, stocks, hedge funds, commodity, rare gems, UK property, international property and commercial property. Why go through the trouble of having to advertise your company through several places at considerably high prices, but still not receive the results that you hoped for? Opportunities built upon real data and understanding of future global advertising strategies. Subscription and access to unique researched data. System to identify unreal leads from unique live leads. We provides you with a full user management functionality that results in faster development. Latest information, data, statistics, live graphs and news on alternative investments. Statistics and reports to identify geographical regions, IP addresses and people genuinely interested in your products. Our web portal targets global investor audiences, generate leads and gives your brand a global exposure. 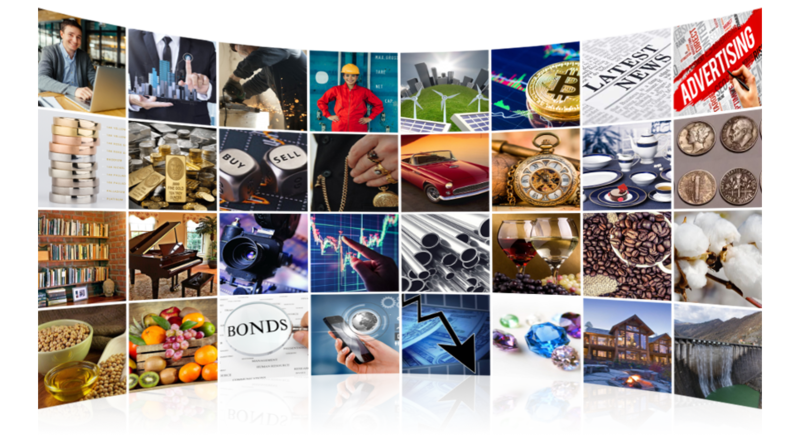 There are over 99 Alternative Asset opportunities presented to you to explore. Have up-to-date market news on each of the opportunities listed available to you. A panel of brokers catered to the various opportunities that are listed from all over the world. "99ALTERNATIVES" means 99ALTERNATIVES Limited, company number 10767752 of Chiltern House Business Center, 64 High Street, Burnham, Bucks, SL1 7JT, United Kingdom and its specialists and representatives. "You" implies the individual determined as the client in the enlistment frame. The points of interest gave by you on the registration form are vital. You must ensure they are correct and complete and inform us of any changes. "Services" means the entire content of this website, including any facilities, applications and Information (as defined below). If you change your mind after registering as a user, you may cancel your subscription by emailing cancel (@) alternatives.com or by logging into the user panel area and click on right to be forgotten and after confirmation from the user the subscription will be cancelled. You are in charge of all utilization of the Services made using your username and password, regardless of whether the utilization is made by you or another person with your username and password. It’s your responsibility to ensure and secure your username and password from unauthorised use. On the off chance that you believe there has been a breach of security of your username you ought to inform 99ALTERNATIVES. 99ALTERNATIVES, at its total discretion, claims all authority to reject a user authorization to use a specific user name and/or password. It isn't allowed to imitate or to endeavour to mimic another user or to make utilization of or endeavour to influence the use of another user name or password and any such activities may bring about legal action, including criminal prosecution. 99ALTERNATIVES reserves all authority to change the substance, introduction, execution, user facilities and accessibility of any piece of the Services at its sole discretion. It is your duty to allude to any changes. They may, at 99ALTERNATIVES's supreme attentiveness happen promptly on posting. 99ALTERNATIVES does not warrant any association, transmission over, security of or comes about because of the utilization of any system association or facilities provided (or discarded to be given) regarding the Services. The data or information accessible at 99Alternatives.com is for your general data and utilize and isn't expected to address your specific requirement. Specifically, the data does not constitute any type of exhortation or proposal by 99Alternatives.com and isn't expected to be depended upon by clients in making (or refraining from making) any speculation choices. Suitable free counsel ought to be acquired before settling on any such decision. Any course of action made amongst you and any third party named in the site is at your sole risk and duty. The cost of offers and speculations and the income you get from them can go down and also up, and investor may not get back the sum they contributed. The spread between the offer and offer costs of securities can be noteworthy in unstable economic situations, particularly for smaller organizations. Acknowledgment of little ventures might be moderately exorbitant. A few speculations are not appropriate for unsophisticated or non-proficient speculators. Past performance is not really a manual for future execution. Where the data comprises of estimating or performance information, the information contained in that has been acquired from organization reports, financial reporting administrations, periodicals, and different sources accepted as reliable. Suitable free guidance ought to be gotten before settling on any such choice to purchase, offer, guarantee or buy in for any investment and should consider your conditions and any risk to chance. Information calculations are not guaranteed by 99Alternatives.com or any of the Data Providers or associates and may not be in its totality. The Information is general in nature and is provided for informational purposes only. It does not constitute legal, tax, financial product or investment advice and does not constitute a recommendation, solicitation, or offer of any securities, product or service and should not be relied upon as securities advice. The Information does not contain anything in it that forms the basis of any contract or commitment. Additionally, the Information on this website does not constitute a representation that the solutions described herein are suitable or appropriate for any person. Past performance is no guarantee of future performance. No consideration has been given to the impact of any tax and revenue laws on prospective investors. Prospective investors should consult their own tax advisers in relation to any such consequences. The Information provided is general in nature and may be used for information purposes only. It is not intended to be, and must not alone be taken as, the basis for an investment decision. The Information has been prepared without taking into account the investment objectives, financial situation or particular needs of any particular person or entity. 99 Alternatives recommends that before making an investment decision, each prospective investor should consult a financial adviser and should consider whether any investments are appropriate in light of their particular investment needs, objectives and financial circumstances. The Information is only intended to provide a general overview of the matters with which it deals. The Information is not intended to be comprehensive, nor does it purport to constitute legal, tax, financial product or investment advice. All Information available on this website should be assessed in consultation with your investment, financial, tax, accounting and legal advisors. Neither 99ALTERNATIVES nor any of its Data Providers or affiliates make any guarantees communicated or inferred, with regards to the precision, ampleness, quality or fitness for a specific motivation behind the Information or the Services for a specific reason or utilize and every single such guarantee are explicitly avoided without limitations degree that such guarantees might be rejected by law. 99ALTERNATIVES, its workers, Data Providers and members could conceivably hold interests in the organizations alluded to in the Information and Services. You bear all dangers from any utilizations or aftereffects of utilizing any Information. You are responsible for validating the integrity of any Information received over the Internet Neither 99ALTERNATIVES nor its Data Providers or associates acknowledge obligation for any costs, misfortunes or harms coming about because of or identified with the accessibility or substance of the Services. The Services or any part don't constitute an offer or sales to offer interests in any jurisdiction. You unavoidably reimburse 99ALTERNATIVES and its Data Providers and members from and against any misfortunes, harms and expenses endured or brought about by 99ALTERNATIVES, any Data Providers or partners of at all nature emerging out of or regarding your utilization, arrangement or conveyance of Information or any part or the Services or any part or generally howsoever emerging in connection to any break of this Agreement by you. You may post data on the Service (i.e. on the chat forums) or make it accessible to different clients by email just where and as allowed by 99ALTERNATIVES from time to time. 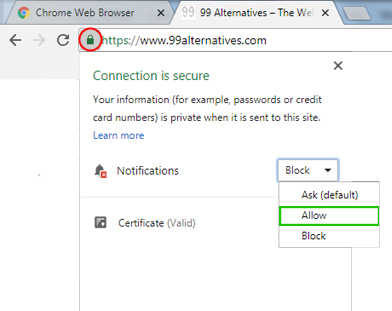 In addition, you may just utilize the website and Services at 99ALTERNATIVES's sole discretion and 99ALTERNATIVES may at any time choose to end your enrolled client account, or withdraw your access to a part of the site and or the complete site and Services, promptly and without notice to you. 99ALTERNATIVES does not screen, support, embrace or apply publication control over data posted by users and does not along these lines acknowledge responsibility or make any guarantees regarding or prescribe that you or any third party depend on such data. You consent to not post (or transmit) (I) any data which as 99ALTERNATIVES would see it is offensive including, unbounded, data which is defamatory, indecent, undermining, false or in break of any material laws, standards, directions or market traditions (counting, unbounded, money related administrations controls), (ii) any data which is in rupture of any individual's rights (counting unbounded, copyright and classification), (iii) any data or programming which contains an virus, cancelbot, Trojan stallion, worm or is generally harmful or (iv) any data which (as 99ALTERNATIVES would like to think) constitutes promoting or (v) any data outside the region/ area assigned for posting or (vi) any data or remark which (as 99ALTERNATIVES would see it) is deemed unsafe to 99ALTERNATIVES or 99ALTERNATIVES's business advantages. 99ALTERNATIVES maintains all authority to expel any such data from the Services abruptly and to advise and offer help to the relevant bodies in regard of any transgressions. Each message posted on 99ALTERNATIVES by or in the interest of an association which, as 99ALTERNATIVES would like to think, is in breach of these terms and conditions and requires expulsion of the message from the 99ALTERNATIVES site will bring about a £10 per message administration charge for removal. This expense is payable on request by the association and will accumulate interest month to month at 7% above base rate. We acknowledge no duty regarding and give no guarantees regarding any data posted on our site by our users. We suggest that you don't depend on such data. Any data posted on our Web website by clients has not been issued or affirmed for the reasons for section 57 of the Financial Services Act 1986. By setting on the Services or making accessible to different clients any data you thus give 99ALTERNATIVES a worldwide non-exclusive licence to use copy, distribute, publish and transmit such information in any manner 99ALTERNATIVES wishes (including, without limit, archiving and making available such information as part of the Services). Your consideration is attracted to the way that in regard of the Services, we, an associated organization or some other individual associated with us may have an intrigue, relationship or course of action that is material in connection to any Information provided or could offer ascent to an irreconcilable situation and you concur that we might not be required to reveal it to you. Our representatives are required to agree to an approach of freedom and carelessness any such intrigue, relationship or game plan over the span of carrying out their employment. By agreeing to enter into this agreement that you are beyond 18 years old and you will at all times be acting as a Private Investor and not over the span of any work employment, exchange trade or profession which you may carry on. 99ALTERNATIVES maintain whatever authority is needed to retroactively apply proficient membership charges to your record if given adequate motivation to question your Private Investor status. This agreement and any privileges of access (password and username) to any Service provided to you may not be assigned out, authorized or otherwise transferred by you to some other individual without prior written consent of 99ALTERNATIVES. You consent to keep your password confidential. these terms and conditions together with the appropriately finished enrolment frame and installment technique guidelines, assuming any, are the entire understanding amongst you and 99ALTERNATIVES. You recognize that you have not gone into this understanding in dependence upon any guarantee or portrayal made by 99ALTERNATIVES. 99ALTERNATIVES may now and again roll out improvements to these terms and conditions and instalment rates which will be set out on99ALTERNATIVES's web website at the very least 14 days before they are expected to produce results. Unless you educate 99ALTERNATIVES by post or email that you protest the proposed changes and wish to end your subscription inside this 14-day time frame, you will be regarded to acknowledge the proposed changes. proceed in full power and impact. The arrangement being referred to might be supplanted by a legitimate and enforceable term which relates, so far as possible reasonably with the original. Failure by either party to practice any privilege or remedy under this understanding does not constitute a waiver of that privilege or remedy. All disclaimers, reimbursements and prohibitions in this agreement should survive termination of this agreement. Neither you nor 99ALTERNATIVES might be held responsible for any failure or inability to perform out any commitment hereunder because of causes beyond your reasonable control. This understanding replaces all terms and conditions previously applicable to the arrangement of the Services or any of them. On the off chance that you have a month to month subscription contract, you may end it by giving 99ALTERNATIVES at the very least 30 days composed notice before your next month to month renewal date. In the event that you have a yearly Subscription contract, you may end it by giving 99ALTERNATIVES at least 30 days composed notice before your next yearly reestablishment date and 99ALTERNATIVES may do likewise. In order to terminate your contract, you may notify us by phone at +44 1628 397599, post at 99ALTERNATIVES Plc, Chiltern House Business Center, 64 High Street, Burnham, Bucks, SL1 7JT, United Kingdom, email us at cancel@99alternatives.com or you can log into the user panel and cancel your subscription. 99ALTERNATIVES may pull back the Services from you, promptly and without notice or compensation if you (I) neglect to make any instalments due to 99ALTERNATIVES, (ii) are in breach of any of the terms of this agreement (in particular, clause 11 above), or any for the most part acknowledged rules on Internet utilization and etiquette, (for example, confinements on mass mailings and mass commercials, pilfering or duplicating programming, mail bombarding or or attempts to violate security), (iii) you do or neglect to do any demonstration which risks the duration of the Services, (iv) if indebtedness procedures are brought against you, (v) in the event that you don't make any instalments under a court judgment or fine, (vi) in the event that you make a course of action creditors or a receiver or administrator is appointed over your assets or (vii) on the off chance that you end up bankrupt. In any such circumstances, 99ALTERNATIVES will then be under no further obligation to you. 99ALTERNATIVES may also exercise the right of termination set out in Information Posted by You above. Refunds of subscriptions to 99ALTERNATIVES are at 99ALTERNATIVES's sole discretion. We endeavour at all times to keep your data accurate and secure, and to honour your data preferences with regard to receipt of direct marketing e.g. postal communications, email, mobile messaging and telephone calls. Our aim is to be responsible, relevant and secure when using your data. "99 ALTERNATIVES" means 99 ALTERNATIVES Limited, a company registered in England and Wales, company number 10767752 of Chiltern House Business Center, 64 High Street, Burnham, Bucks, SL1 7JT, United Kingdom, its subsidiary companies and associated companies and its agents and employees. 99 Alternatives is an independent publisher of financial information and a data provider. When you visit one of our sites we utilize cookies to record your personalisation settings so the website remembers them next time you visit. No personally identifiable data is stored in these cookies. We some of the time utilize third party services for example, Google Analytics to break down website client activity. Actually identifiable data is never imparted to these administrations. To peruse a portion of our content we may request that you make a 99 Alternatives account (your profile). To do this we ask you provide us with your email address (on account of our professionals this ought to be your work email address), and other data provoked on the enlistment page. We ask that you give exact data: we may utilize freely accessible data on the Internet, (for example, LinkedIn) to confirm that your email address is valid, alongside other data you give at the time of registration. The data you give is put away in our protected databases and is utilized to create and additionally add to your client profile. On the off chance that we don't get your consent to store and process the above data we will be not be able give any of our customized (i.e login required) services. The activation email confirms that you have access to the email address you provided which will be utilized to convey the use of our service subscription or major site affecting issues. We may also use information about your purchases for marketing our products or third-party products and services to you. You can manage the types of communications you receive under the "Email Services" as provided in this policy. When you visit our sites we utilize a cookie to assign you a randomly generated unique identifier. We don't impart personally identifiable data to digital and print promoters. We may share, be that as it may, an anonymised form of this data with organizations that promote, or may publicize, on our website. By enabling organizations to promote on our websites we can offer you content for free. In the event that opted in to receive third party marketing from our 3rd party advertisers, we may send showcasing messages to you for the benefit of advantage chiefs and other monetary organizations with the goal that they can send you important advertising and notices. We never pass your points of interest to them straightforwardly, yet may utilize trusted outsider information preparing organizations. We guarantee that they handle your information safely and erase it from their frameworks once prepared. For more data on our outsider information handling organizations, please email privacy (@) 99Alternatives.com . When you make an account with us you will be asked as to whether you need to opt in to get our daily newsletter. You can opt-out of this any time by visiting the 'My Account' area of the website. You can likewise utilize this option to opt-in to any of our other more particular news messages that you may want to. We may utilize the data you have provided us with, alongside the data we have gathered from your website activity, subscribe you to email newsletters that we feel would be relevant to you. You can opt out of these in the same way as all other newsletters. On the off chance that you pick in to get direct marketing emails from us we will send you carefully chosen messages showcasing our events and different items. These will never be unreasonable or unessential to you and you can opt-out whenever by means of visiting the 'My Account' area of the site or by emailing privacy (@) 99Alternatives.co.uk. If you sign up to attend one of our events, we will ask you to provide your professional details. This is so we can evaluate your appropriateness to go to our event, get in touch with you to fill you in as to whether you meet our criteria and offer with you with all strategic data. On the off chance that you enrol for one of our events we will utilize this data inside for liaising with you and ensuring that you are added to proper workshops and seminars at the occasion. If you are coming to one of our events we may approach you for additional data, for example, your dietary necessities, international ID subtle elements and any exceptional needs or prerequisites as per the Discrimination Act 2010. This data will be treated with the highest regard and respect and might be utilized for calculated purposes to ensure you have an agreeable and pleasant involvement with our event. We may pass a portion of the data we gather at enrolment to our event supports so they know who will be going to the event and they can get in touch with you after the event for one feedback call or email and to send you one showcasing email – after that it is entirely up to you whether you stay in contact with them. At the event we will request that you finish reviews by means of electronic tablets or paper. These might be to pick up feedback on our events, some will be about the kind of assets or resources you have under administration (if applicable). Some may allow you to enlighten us regarding your association and on the off chance that you think there is any other individual there that might want to go to an event. This data is added to your client profile and helps us in proceeding to offer you pertinent substance and to welcome in future. We additionally in some cases run surveys at our events for the benefit of the events sponsors. If so, at that point we will watch that you are happy to impart your answers and personal information to and third party, specifically the sponsors. At 99 Alternatives we value your opinion and we often run surveys and questionnaires via www.99alternatives.com website, email or telephone. These are essentially so we can remain engaged in with our group of audience now and again for the benefit of third parties. When they are for the benefit of third parties we will request that you select in to having the appropriate responses you provide for the information imparted to the third party alongside your own information, for example, name and email address. We will dependably disclose to you who the third party is and give you the choice of finishing the review anonymously. When we lead the overviews for our own data the appropriate responses you give might be amassed and anonymised and utilized for both interior and outside introductions and news stories. Such data will likewise be put away in our database and added to your client profile. So as to send you a printed version of one of our magazines we request that you furnish us with your postal address. This is imparted to our printers and couriers services for strategic purposes yet we never share it with some other organizations for showcasing purposes and we won't send you any markerting by means of the post unless you opt in for this option. The address will be added to your client profile in our database and might be utilized for geological profiling. The data is stored in databases with limited access to employees. The databases are located in secure networks which are monitored and maintained on a continuous basis with access logs in place. As a registered user you would also have access to all the details we hold in regards to your registration and ongoing activity can be all viewed from your user panel and you can also activate the right to be forgotten from your user account login. If there are any changes to your personal data or if you believe that the personal data we have about you is inaccurate, incomplete, misleading or not up-to-date, please contact support (@) 99Alternatives.com so that we may take steps to update your personal data. You have the right to withdraw your consent for us to process your data. Doing so would result in termination of our client agreement with you and limited access to our services. Please contact support (@) 99Alternatives.com if you would like to withdraw consent. You have the right to request personal data erasure. Doing so will automatically withdraw your consent for us to process and store your personal identifiable data. You have a right to ask for your data to be ported to another data controller. Where we receive such a request from you we will transfer your personal information in a generic machine-readable format to the other data controller. 99 ALTERNATIVES is not responsible for the other data controller's system's ability to store and process the ported data. In the event of a change of ownership or other business transition, such as a merger, acquisition or sale of our assets, including all Personal Information stored therein, may be transferred in accordance with applicable privacy laws. 99 ALTERNATIVES does not sell or share your personal information. We may share your information with any group of companies of ours as defined under the companies act 2006 so that they can provide products and services to you where you consented. If a data security breach occurs, we will notify this to the relevant regulatory body (ICO) promptly and in any event no later than 72 hours of discovery. Where we are unable to make such notification within 72 hours we will provide the reason for such delay. We want our users and members to feel confident using our services and are committed to protecting the information that we collect. Information transmitted to us over the internet is secured using Secure Socket Layer (SSL) technology and industry standard firewalls. We ensure information once received is stored securely and only accessible with the correct authorisation. Please remember that you control what Personal Information you provide while using the Site and Services (such as the commenting facilities in the various chat forums and article discussions). Ultimately, you are responsible for maintaining the secrecy of your identification, passwords and/or any Personal Information in your possession for the use of the Site and/or Services. Always be careful and responsible regarding your Personal Information. We are not responsible for, and cannot control, the use by others of any information, which you provide to them, and you should use caution in selecting the Personal Information you provide to others through the Site or Services. Similarly, we cannot assume any responsibility for the content of any Personal Information or other information which you receive from other users through the Site or Services, and you release us from any and all liability in connection with the contents of any Personal Information or other information which you may receive using the Site or Services. We cannot guarantee, or assume any responsibility for verifying, the accuracy of the Personal Information or other information provided by any third party. You release us from any and all liability in connection with the use of such Personal information. Third party cookies are set by a different organisation to the owner of the website you are visiting. For example, the website might use a third party analytics company (Google Analytics) who will set their own cookie to perform this service. Persistent cookies This type of cookie is saved on your computer for a fixed period and is not deleted when the browser is closed. Persistent cookies are used where we need to know who you are or your preferences for more than one browsing session. Analytic cookies help website owners to understand how visitors interact with websites by collecting and reporting information anonymously. First party, necessary and session cookie JSESSIONID This cookie is used to retain information about the user's session from our Content Management System. First party, necessary and session cookie ROUTEID This cookie is used to retain information about the user's session from our Web server. First party, preference and persistent cookie cc_analytics This cookie retains the Acceptance Preference about Analytics cookies. First party, preference and persistent cookie cc_necessary This cookie retains the Acceptance Preference about Necessary cookies. ISAWPLB This cookie is used by http://www.99alternatives.com, to retain user's sessions. This cookie appears only in http://www.99alternatives.com pages. _utmz Google Analytics is Google’s analytics tool that helps website and app owners to understand how their visitors engage with their properties. It may use a set of cookies to collect information and report website usage statistics without personally identifying individual visitors to Google. Learn more about Analytics cookies and privacy information. You can find duplicated cookies because http://www.99alternatives.com website and our third parties also use Google Analytics statistics. You can allow, avoid or remove cookies installed by using your Internet browser configuration options. Blocking cookies might prevent some pages from working properly. www.99alternatives.com will not save in the cookies any other data than the described before. For revoking the analytics cookies consent and choose again your cookies policy. The strictly necessary cookies cannot be disabled. If you want to show again the banner asking for the consent, please remove the cookies in your browser as described in point "How to enable or disable cookies"
This option is not available to clients in the United Kingdom.